How do you capture the world around you in 360? You will need a 360 camera of course! So today we are unboxing one of the most sought after 360 camera the Ricoh Theta V! 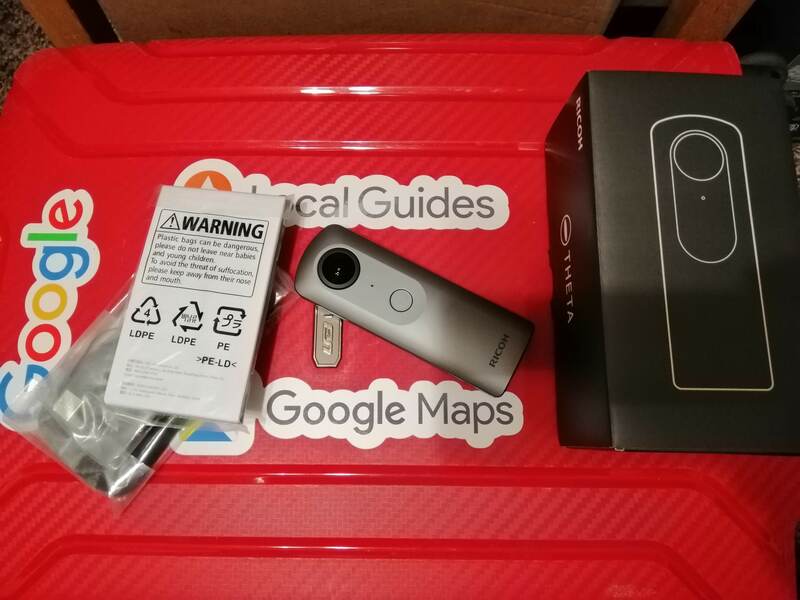 Unboxing the Ricoh Theta V is pretty easy, what you get inside is the Ricoh Theta V unit, the power cable and the manual. I gotta admit this is the first time for me to get my hands on a 360 camera so I really do not have any expectations nor do I know how to use it. But of course, we have to find out, thanks to the manual the step by step process is pretty easy. You need to download the Ricoh Theta app in order to sync your Ricoh Theta V with your mobile device. Why? Well it’s through the app that you can view and share the photos that you have captured. The Ricoh Theta V has a limited storage of about 19GB so if you are taking lots of 360 photos or even 360 videos, yes you can take 360 videos with the Theta V! , then you will need lots of storage space, by syncing with your phone you can transfer the photos or videos then maybe upload it somewhere for safekeeping or for sharing. Using the Ricoh Theta V is pretty easy, it is similar to a point and shoot camera without the screen of course, who needs it if it captures the world around you right? To streamline the process you just need to turn on your camera and wait for the camera mode to appear then simply point and shoot by pressing the capture button.